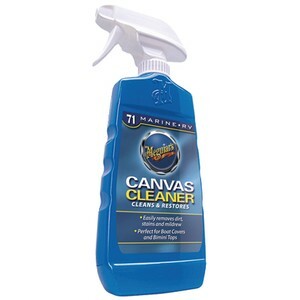 Meguiar's Canvas Cleaner is the perfect solution to keeping your boats canvas clean. This canvas cleaner from Meguiar's will remove dirt, stains and mildew to help restore your boats canvas to its original look and feel. Ready, aim, spray on and wipe off.